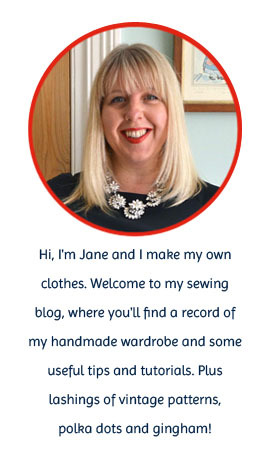 Thanks for this review Jane. I've been looking at a couple of How To Do Fashion patterns recently, but I've not seen one made up or reviewed up to now. The lack of included instructions does seem poor when you consider the cost of the pattern, but the result looks lovely. Job well done! Looks very clean and pretty. I agree with Sam; thanks for the review. I have never sewn anything from the before. 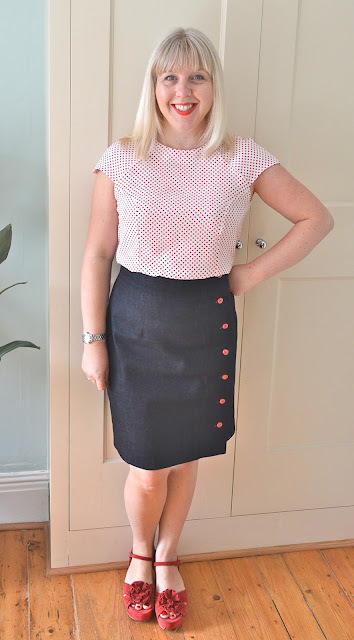 Btw, your skirt, is that a Tilly-pattern? Also very nice! 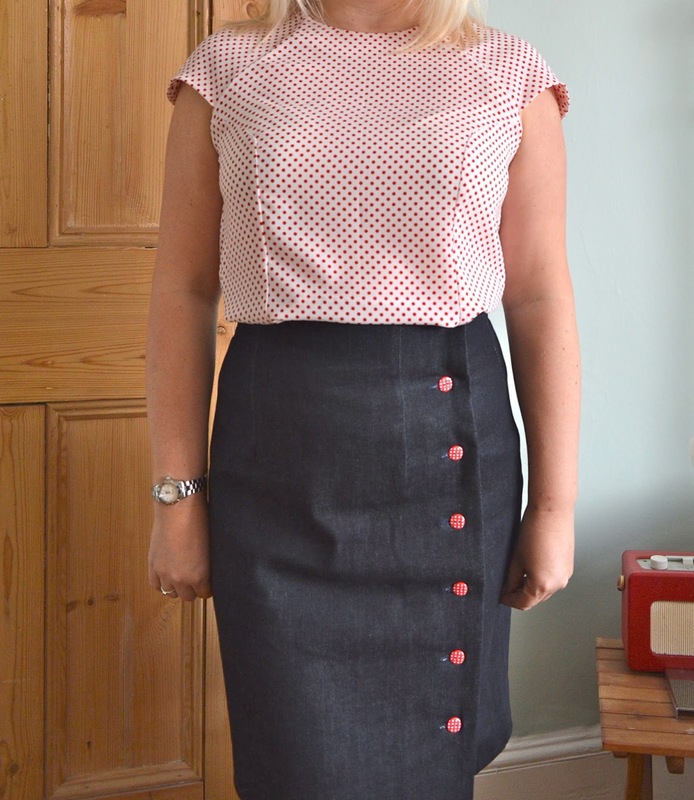 Looks amazing I wish I could find a good pattern place by me so I can get back to sewing again. I love your new top with the cap sleeve, very complimentary on you. I also like the style lines. £16 is way more than I'm prepared to pay for a pattern, anyway. But all that and no printed instructions plus tracing your pieces? That's outrageous. Looks great on you, but I think I would be disappointed with no instructions for that price, as well. 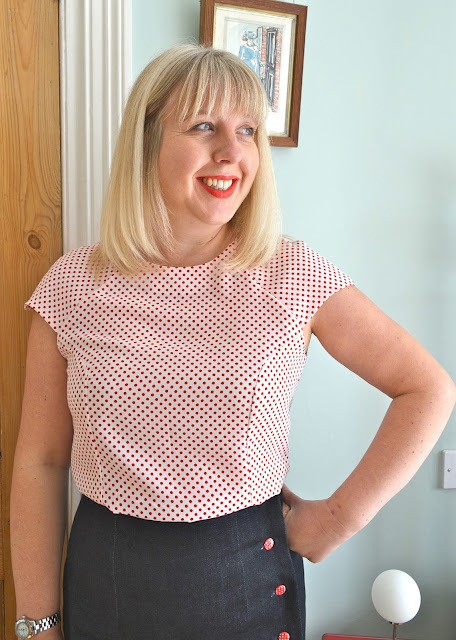 Lovely top Jane, it looks like a great fit and I love the spots, perfect for Sew Dots! I am so surprised the pattern was double sided and you had to print instructions separately! I've never come across that before so thank you for including in your review as I'll make sure I double check in future!